Sydney to Perth, Albany to Darwin, Cairns to Wagga Wagga... and everything in between, AAA Entertainment is the agency that will work with you to develop a solid marketing and publicity campaign for maximum impact to accelerate your ticket and music sales! We regularly book advertising through many print, radio, TV and online outlets and, in doing so, it allows us to get competitive rates. We can work with you in putting together marketing plans, marketing budgets, coordinating announce and on sale strategies, sourcing tour presents deals, and much more for greatest impact. We also uphold great relationships with many regional theatres and clubs across Australia and can liaise with them directly to maximise any marketing opportunities to encourage further ticket sales! We're a boutique music marketing and publicity agency with over a decade's worth of experience and we are known for our genuine excitement for new and live music. We operate with a high level of integrity and passion and provide the highest level of personal service for those we represent. 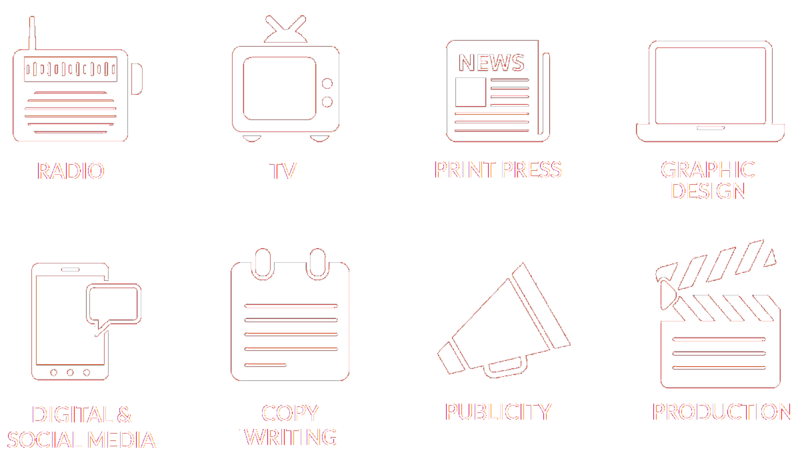 Our services combine print, radio, television, digital and social PR. With plenty of PR resources at our disposal and a strong contingent of national media contacts built upon mutual respect, we target specific media that will help spread your sound! We can work with you for all your creative needs including arranging your graphic design and artwork, TV and radio production, press ads, copy writing and much more. Our marketing audits also give you the confidence that venues have fulfilled their duties to promote your shows within their venues. Our agents who are on the ground in the regions, can visit venues and verify that your marketing collateral is on display at venues as well as provide potential other marketing opportunities that may be available. Our services reduces the consumption of time it would take you away from other aspects of your business. Melinda Schneider Does Doris Day, Harrison Craig (The Voice) - Kings of Vegas, Echoes of Pink Floyd, Marina Prior, Lennon: Through A Glass Onion (feat. John Waters & Stewart D'Arrietta) | Gold: The Ultimate ABBA Show, Melinda Schneider sings Great Women of Country, Buddy The Concert, Johnny Cash The Concert, The Adele & Amy Winehouse Songbook, The Australian Bee Gees Show (direct from Las Vegas), Let There Be Rock Orchestrated and more! "Thanks again for your effort. It paid off. Both gigs looked pretty damn full and they were two great shows!" "Thanks for doing such a thorough job of helping me market and promote my 'Melinda Does Doris' tour. I absolutely love working with you and you are so great at what you do. You're always positive, professional and a joy to deal with!" "You have done a great job... You are the best!" LIVE CHAT // Use the 'chat' icon floating on the right of the page to live chat to one of our staff! © AAA Entertainment Pty Ltd. All rights reserved.